Do not GAMBLE with your family's safety! 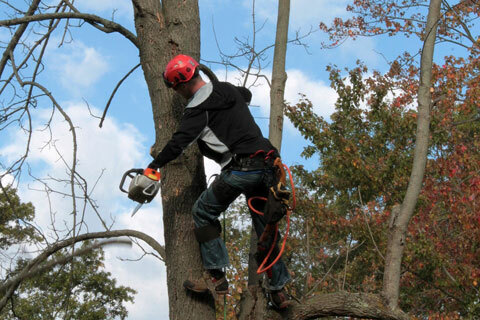 TREE REMOVAL is the service we offer to ensure that your family is safe. We know that the look of your home is very important, and so is the safety and well-being of those living in the home. This arboreal service is recommended when one or a number of the trees in your yard are dead, diseased or highly hazardous due to their location. Twelve Oaks will personally quote the job, and be the one's to complete the extraction process. Our team will be there to eliminate the threat that an unsafe tree can impose on your family in a timely manner. DO YOU NEED A PERMIT IN TORONTO - GTA? Sometimes a permit is needed and sometimes it is not. The answer to this question depends on the location of the project, the health of the tree and the township where the removal is required. 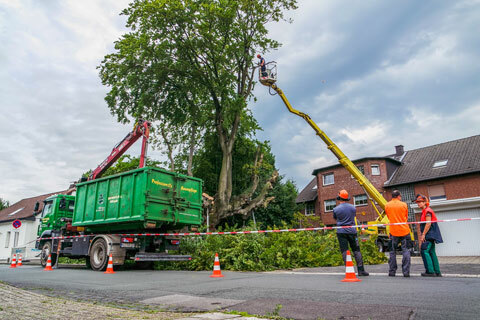 For example, Toronto tree removal and in most of the GTA (Greater Toronto Area) tree removal requires a permit if it is less than 30 cm in diameter and above breast height (140 cm) a permit is required. Tree removal in Richmond Hill requires that the tree must be 20 cm in diameter or greater and chest height to require a permit. Generally, we advise anywhere from ten days to a month. This is because there are sometimes a lot of requests, and our services are on a first come first serve basis. We also make a priority for the calls that are emergencies and could be immediately harmful to the wellbeing of the homeowner meaning these projects may get pushed ahead, and can steepen the wait time. Although this is true, we make the best effort to get the removal done in a time effective manner. The price of the job is dependent on the job itself. It is very hard to quote a job without seeing it first. The elements that must be considered when pricing the project are the size, the proximity to houses and buildings, and the access available for getting the tree(s) removed from the property. These considerations are taken into account because when there is greater risk involved, and more precision is needed, more time must be taken to get the removal completed safely and effectively.